SERVPRO of Danvers/Ipswich owner, Dave Hart, is also the President on the board of the Liz Murphy Open Hand Pantry. The pantry helps those in our community that are less fortunate, providing necessary food and personal items to those in need. SERVPRO of Danvers/Ipswich is involved and committed to the residents of the communities that we serve. When a candle was left lit in the window sill of this local church, a fire started and quickly began to spread. Luckily a neighbor saw the fire and it was extinguished before more extensive damage could occur. The fire and smoke restoration technicians of SERVPRO of Danvers/Ipswich were quick to respond. We cleaned soot from the walls, floors, and surfaces, making it "Like it never even happened." SERVPRO of Danvers/Ipswich owner, Patrick Lavigne, conducting our weekly irritant smoke test on crew member, Peterly. We are committed to keeping our employees safe while they are out on the job. Susan Kane and Rich Ciarletta helped support the Newbury Protection Fire Company's annual bonfire fundraiser! SERVPRO of Danvers/Ipswich is committed to supporting local fundraisers and charities in the communities we service. Jodi Feil and Rich Ciarletta attended the Danvers Fire Department's open house. 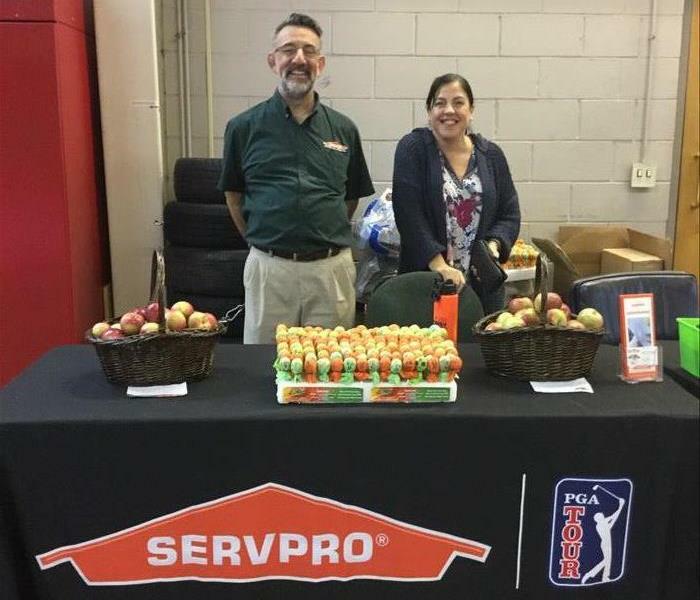 SERVPRO of Danvers/Ipswich was happy to give out lollipops, apples, and our cute little SERVPRO rubber ducks to all of the children who stopped by. Owners Dave & Maureen Hart came out to donate blood at our Boston Children's Hospital Blood Drive. We are grateful for everyone that took the time out of their day to stop by and donate for this life-saving cause. SERVPRO Acts of Green Ready to Go! 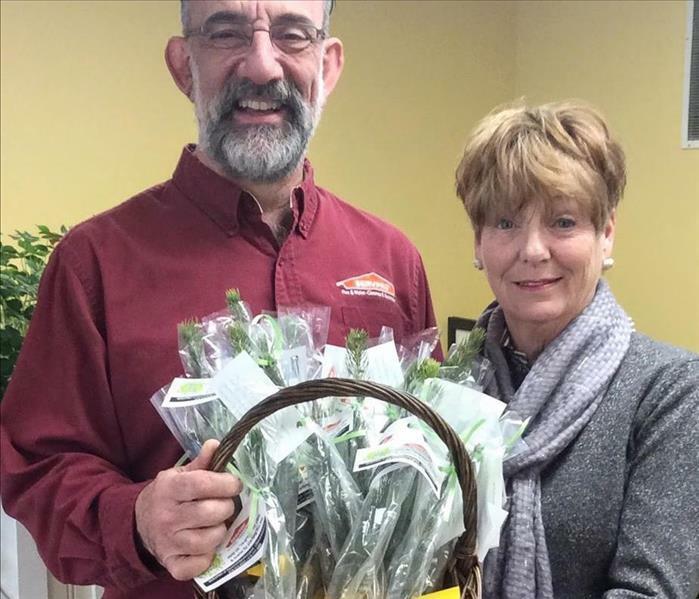 Sales & Marketing Reps Richard Ciarletta and Mary Ellen Lawlor on their way to deliver Blue Spruce saplings trees to our customers in honor of Earth Day. SERVPRO of Haverhill/Newburyport and SERVPRO of Danvers/Ipswich committed to 300 Acts of Green in support of The Earth Day Network's lofty goal of 3 Billion Acts of Green worldwide. 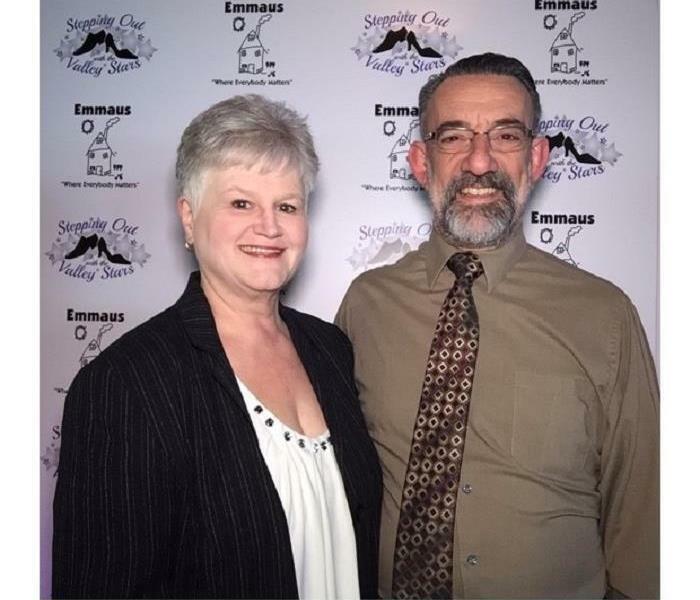 Rich Ciarletta and his wife enjoyed a glamorous night of dinner and dancing at Emmaus, Inc. Annual Stepping Out with the Valley Stars fundraiser. SERVPRO was a proud sponsor of this event! Do You See The Signs? 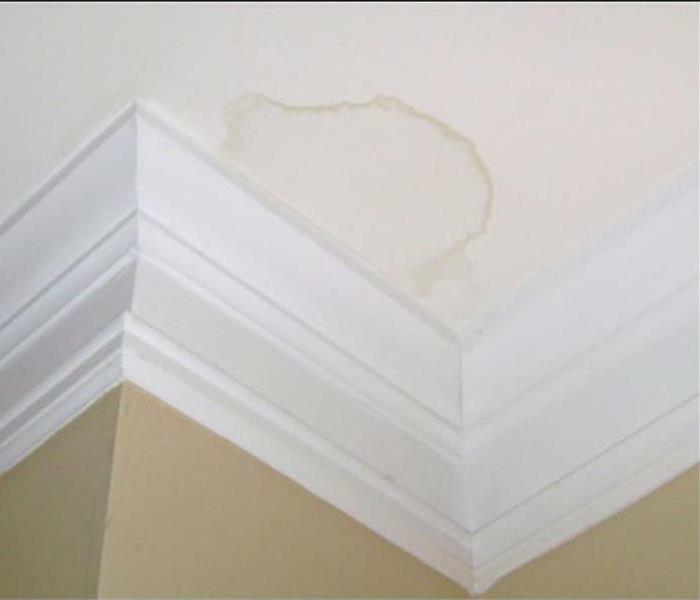 If you see some of these discoloration marks on your ceilings or walls, don't ignore them. They are always the sign of water damage. Untreated, this can lead to much bigger problems. Call SERVPRO (and a plumber!). 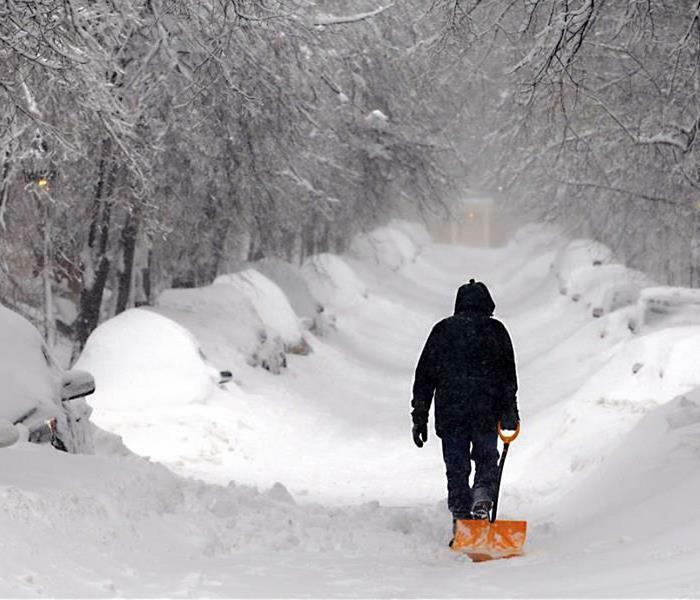 After 2 minutes of shoveling, a fit person’s heart rate jumps to 86 percent of its max capacity. For less strain, read some tips from Dr. John Forrest, M.D., a heart-health expert at Yale University. Winds that reached hurricane force blasted through our area last week. 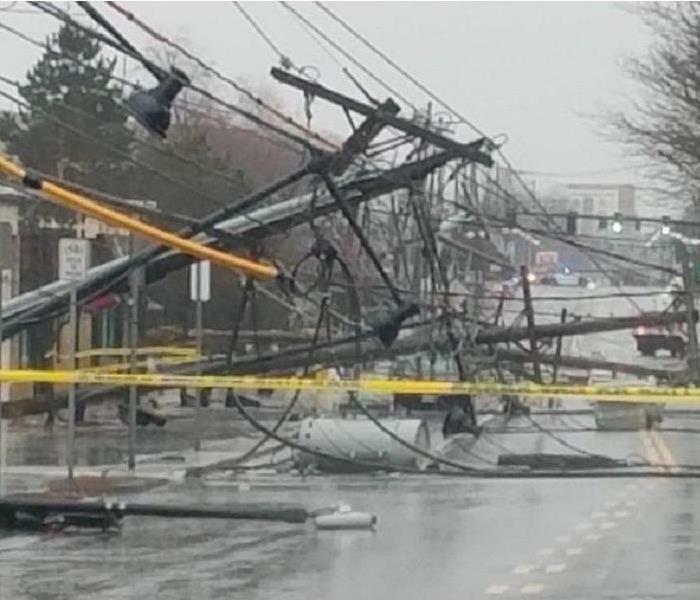 This image, taken in Watertown MA., shows just how strong these winds can be — pulling down power lines like a game of Dominos. As we brace for another winter storm this week, it's important to check that your gutters and windows are secure. If possible, take a look at your roof too. Exposed areas need to be covered before the snow fall to avoid water & mold damage. Anyone who has suffered through the loss of a fire knows that the realization settles in after the crisis is over. First and foremost, it's always your safety that is the priority. But what happens afterward? How do you reclaim emotionally and materially? We help with both aspects. Our highly trained estimator, crews, and staff can guide you through the process of contacting your insurance agent. We've done this for a very long time and know the process. We also provide the invaluable peace of mind that comes with knowing we will get you back in your home or business as fast as we can. Our crews are certified in fire clean up and our specialty equipment is designed to expedite the process. Volunteer of the Year Goes to Mary Ellen Lawlor! 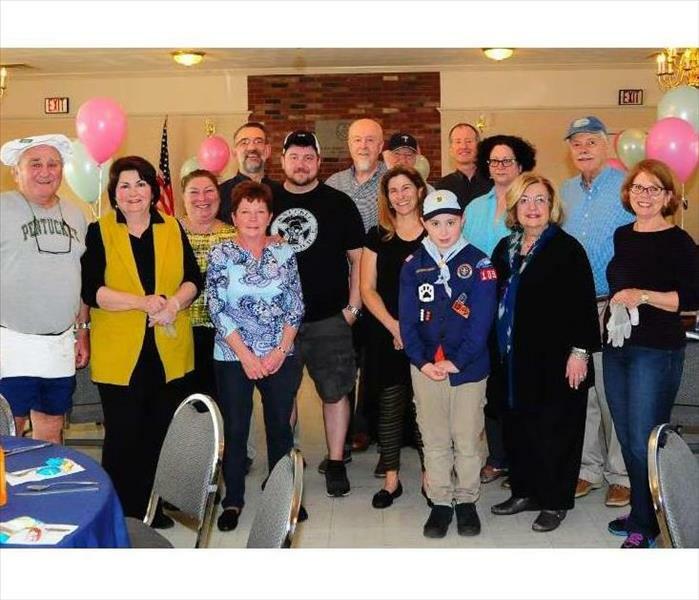 Every year, the Greater Haverhill Chamber of Commerce hosts an awards breakfast, recognizing local businesses and it's employees for exemplary contributions to the community. This year, our own Mary Ellen Lawlor was presented with a well-deserved award of Volunteer of the Year. Mary Ellen tirelessly devotes herself to several local charities and organizations, holding very active roles for each. We're very lucky to have Mary Ellen on our team! 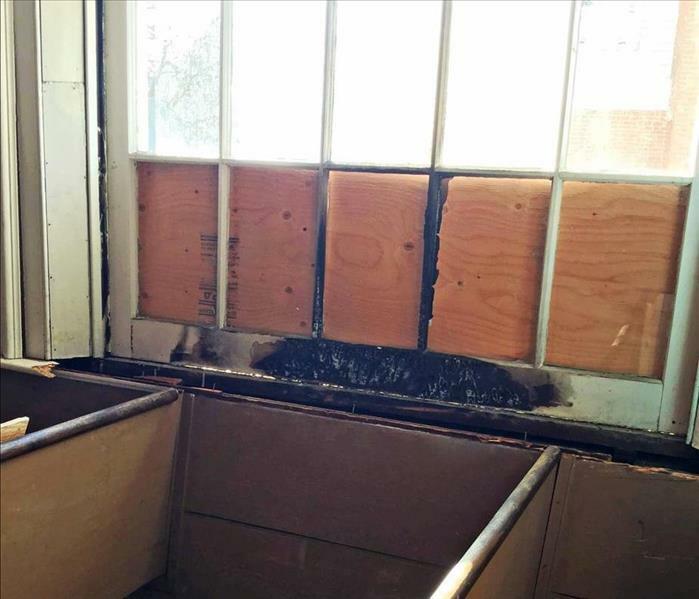 A local business office suffered light sewage damage when a pipe overflowed after a particularly heavy rain storm. Although this was considered "light damage" when it comes to sewage there really is no such thing as "light." SERVPRO was at the property the same day, able to return the area to a pleasant, disinfected, and clean place. After a water damage, no matter how well you think you've extracted the water and dehumidified the space, moisture will remain. It permeates any porous surface quickly and this is when mold begins to grow. 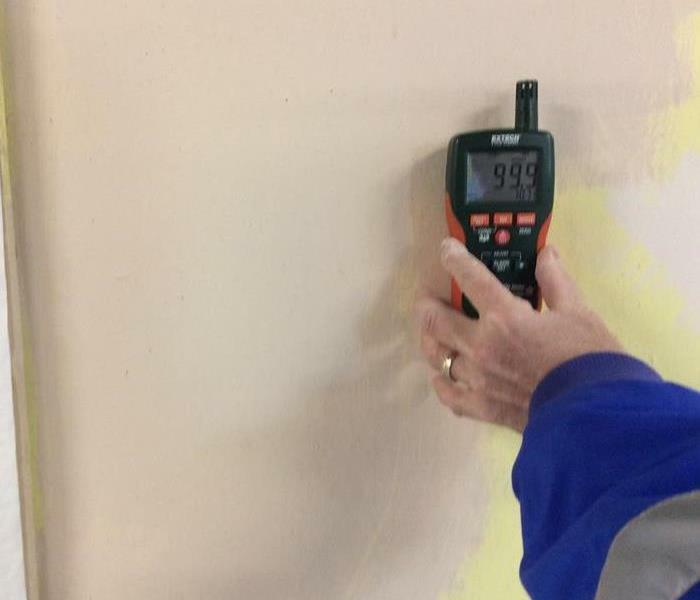 It's imperative to take moisture readings to ensure the levels are at an acceptable number. This is part of our normal procedure at every job. 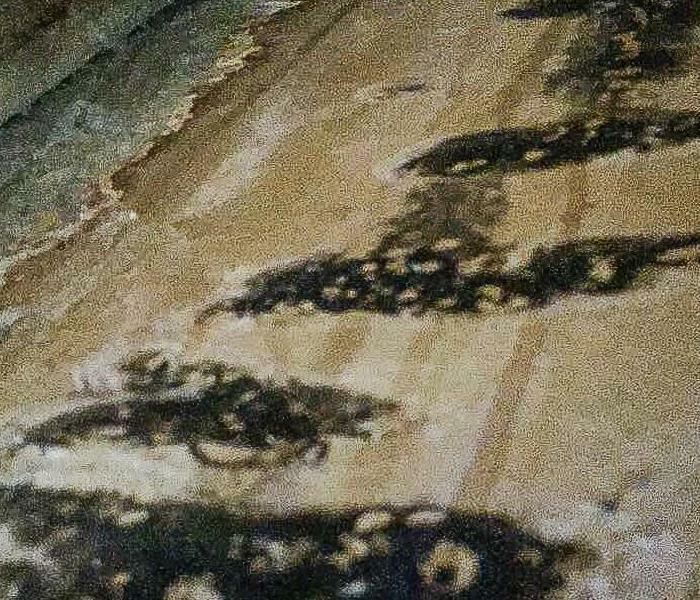 This mold was discovered in a basement wall when an adjacent wall was damaged due to a burst pipe. This mold likely grew over a period of months, unbeknownst to the homeowner. 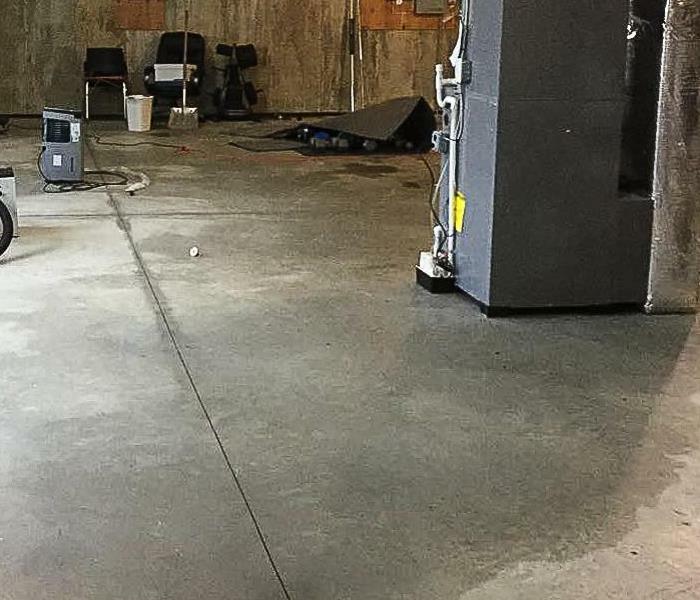 Upon discovering it, SERVPRO was able to remediate the entire basement area to provide peace of mind to the homeowner that this was not lingering anywhere else. 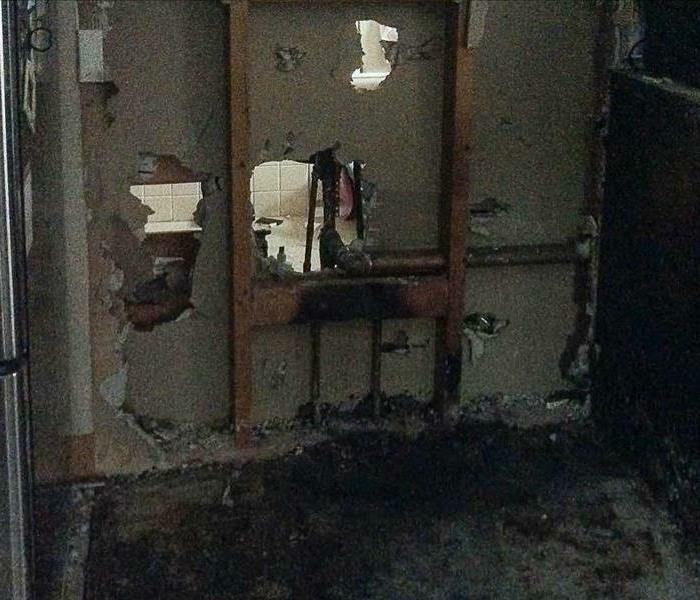 This kitchen fire spread quickly after the oven caught fire, causing the firefighters to punch holes through the wall to vent and control the flames. The homeowner, fortunately, was safe but left without a kitchen while the necessary clean-up and repairs were done. Luckily, we had them back in their home within days! Frozen flooding? Is that even possible? 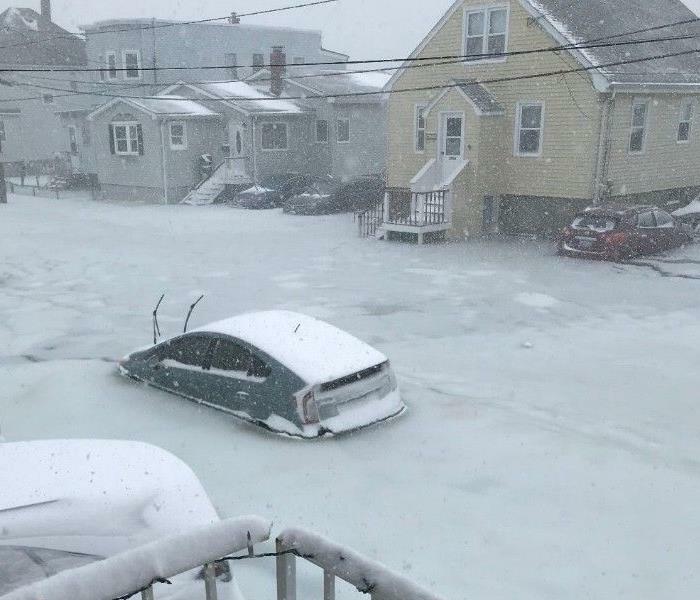 We found out the hard way when a "Bomb Cyclone" snow storm hit New England in early 2018, dumping feet (as in plural) of snow during astronomical high tides which caused unprecedented flooding. Storm Trooper Not Your Enemy! This Storm Trooper re-wrote public opinion by shoveling out strangers' cars and walkways during a recent storm that paralyzed much of the East Coast. The storm dumped several inches of snow and caused unprecedented flooding. 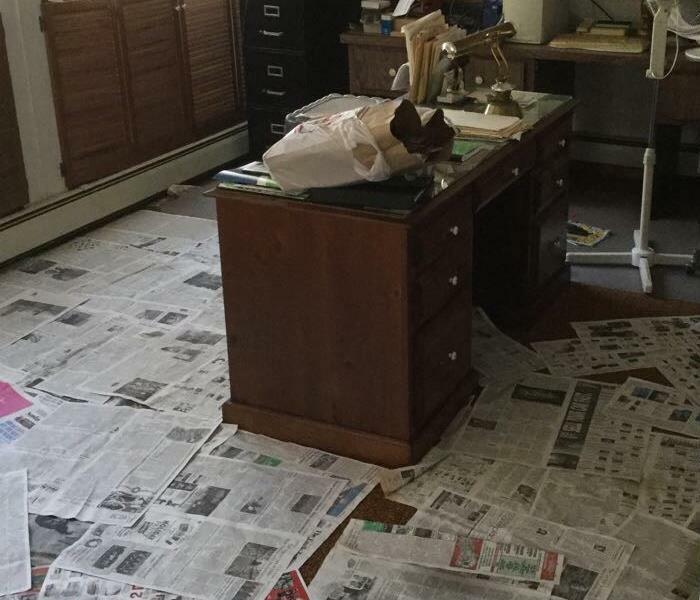 This homeowner laid newspapers down after a flood in their home. The idea was a good one to absorb some of the moisture, they quickly realized that wouldn't be enough and called SERVPRO! Because of all the moisture in your bathroom, mold can easily grow under tiles. 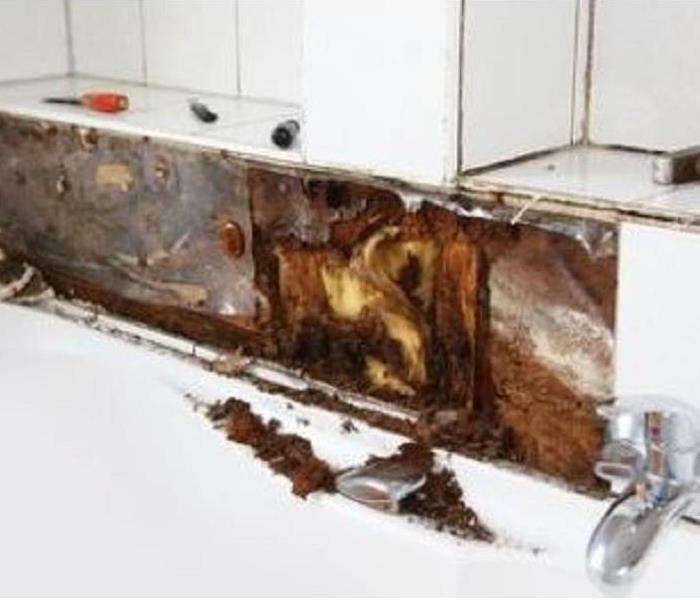 When it gets so bad that it's visible through the grout, it can be shocking once the tiles are removed! If your window air conditioner unit isn't installed and pitched correctly, it can sometimes lead to mold. It's best to continually check under window sills, inside and outside, for sign of growth. Crews begin cutting the drywall above the water line to ensure moisture won't lead to mold growth. Not taking these extra steps, in the remediation, after water or storm damage can lead to more problems down the road. 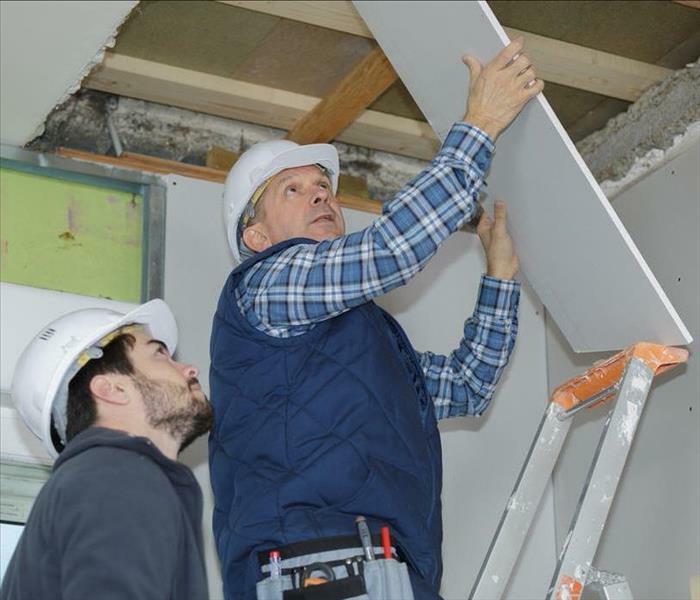 Rebuilding after a water or fire damage can be a daunting task. We'll stick with you through the whole process to get your home back to the point it was before the crisis. 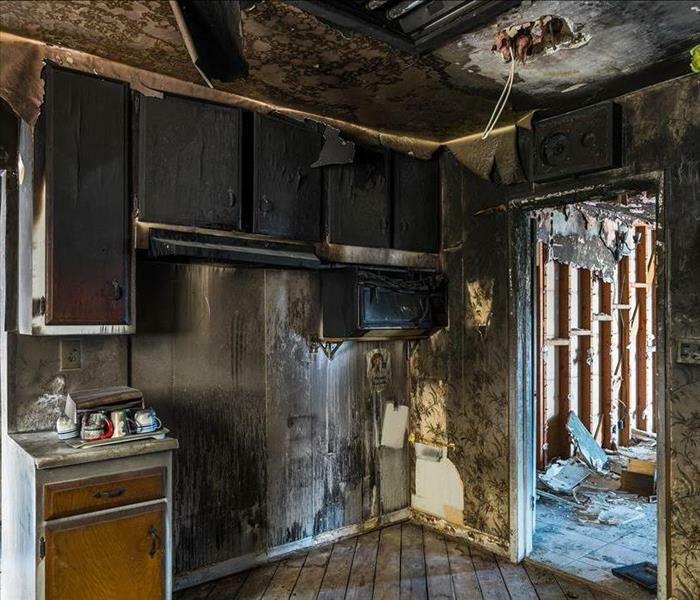 A quick moving kitchen fire can spread well beyond it's point of origin – in under 3 minutes, according the National Fire Safety Council – as it did with this kitchen fire. Most of the first and second floors needed to be gutted due to smoke and/or fire damage. Mold was found behind the drywall of Page School when it was removed during clean up of a water damage caused by a burst sprinkler pipe. 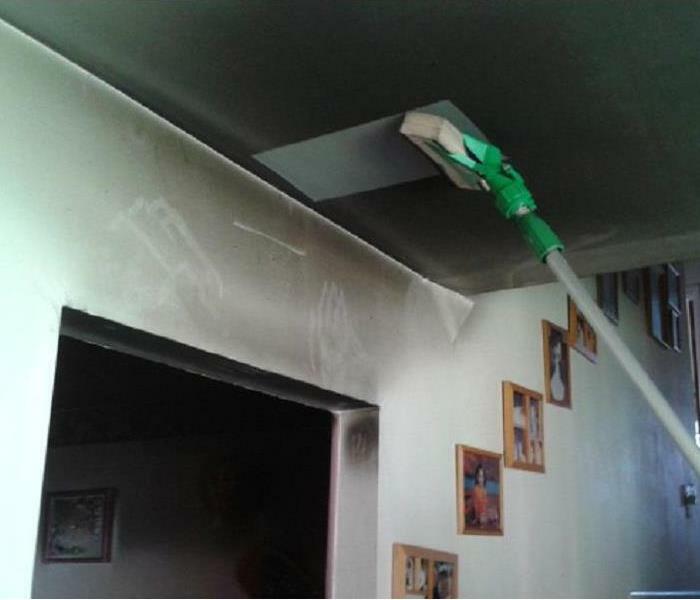 SERVPRO was able to address this after the water damage was contained. 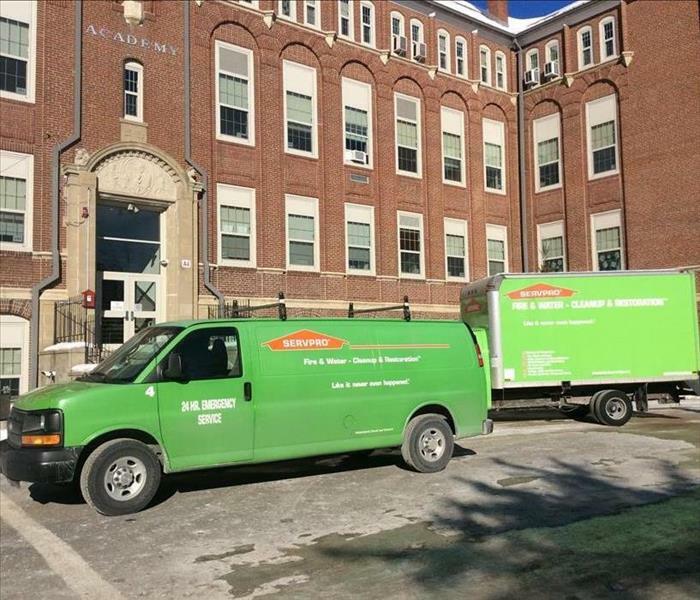 SERVPRO of Danvers/Ipswich dispatched crews in the overnight hours when Page School in Newbury, MA flooded due to a burst sprinkler pipe after a particularly nasty winter storm blew through New England. What Is A Puff Back? No, it has nothing to do with that magic dragon! A puff back is when a sticky, oily, smokey soot is blown back through your ventilation system due to a system failure. Our sister franchise, on Cape Cod, wrote an excellent article explaining how it occurs and the do's and don'ts of clean-up. Power Strips and Space Heaters, Deadly Combination. A Facebook post by Umatilla County Fire District No. 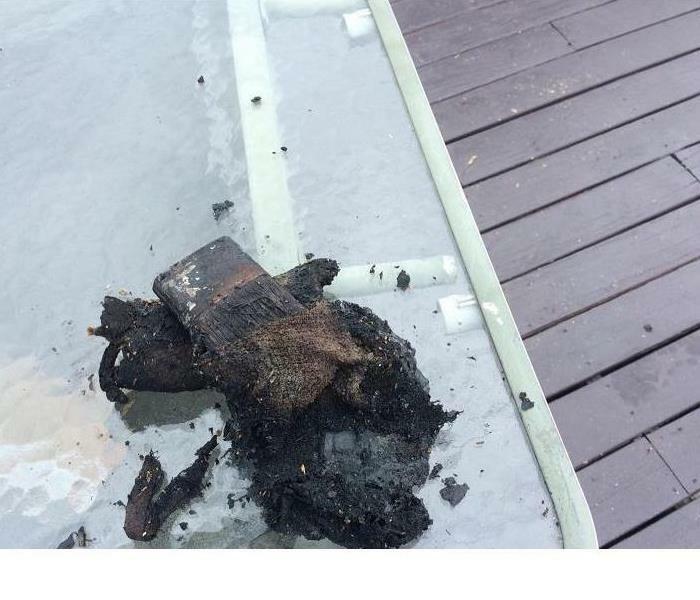 1 in Hermiston, Oregon, of a melted and burned power strip went viral. Space heaters must be plugged directly into wall outlets, experts say. Never use an extension cord or power strip, which can overheat and result in a fire. 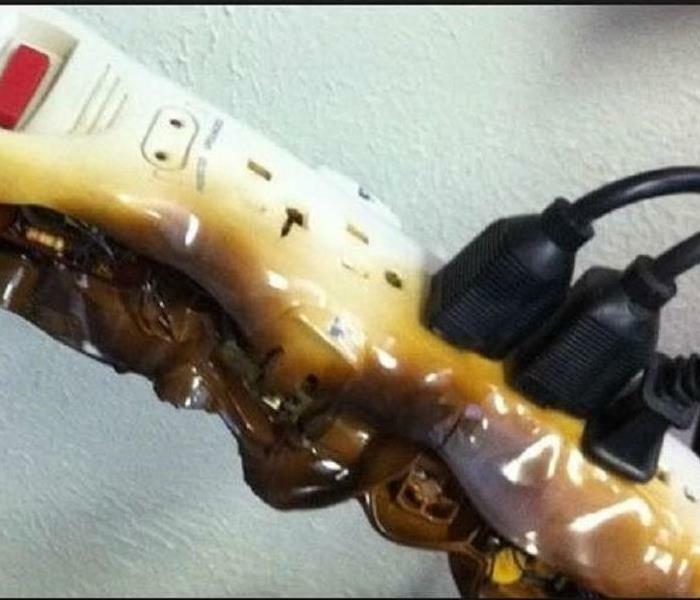 Power strips are not designed to handle the high current flow needed for a space heater, and can overheat, melt and even catch fire due to the added energy flow. Boys & Girls Club at Star Wars: The Last Jedi! 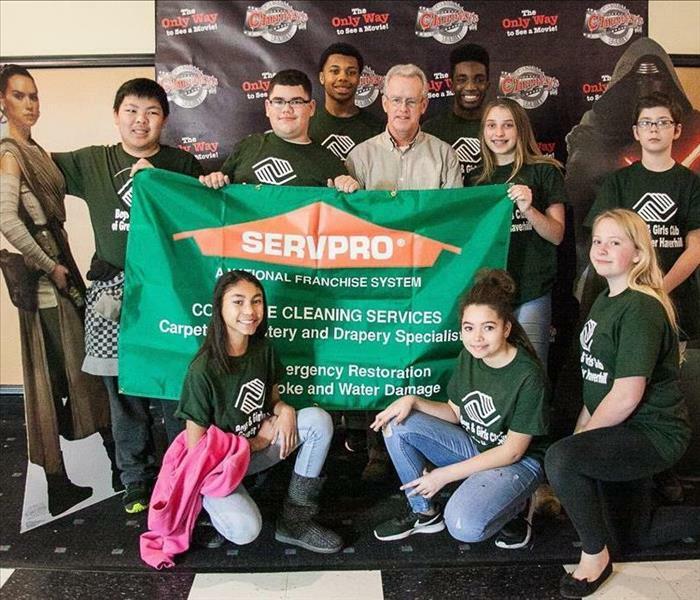 SERVPRO of Danvers/Ipswich recently hosted an event for several of it's commercial clients at a local movie theater for an early premiere of Star Wars: The Last Jedi. These lucky Boys & Girls Club members were personal guests of owner, Dave Hart. 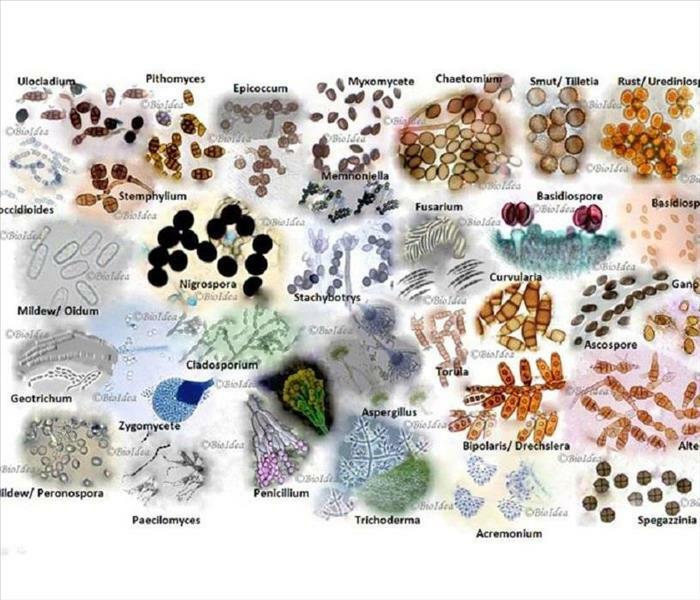 So Many Different Types of Mold! If you already know that so many different types of mold existed, then you probably also know it's best to call a professional to remove it. If you're like the rest of us who are surprised to learn there are so many types, then here's your news flash! It’s important to get your home dried out your home as much as possible, since mold thrives in wet and humid environments. Professionals will use air movers, dehumidifiers and HEPA air scrubbers that work together to eliminate moisture and dry out the air and surfaces. They’ll also wear safety gear like gloves, a mask and eye goggles. When you look at those glistening icicles hanging off the edge of any building or home, you usually just think how pretty they are…hanging there innocently, shining in the sunlight! Well, not so fast! These beauties can often lead to ice dams, which can lead to huge headaches for the owner. 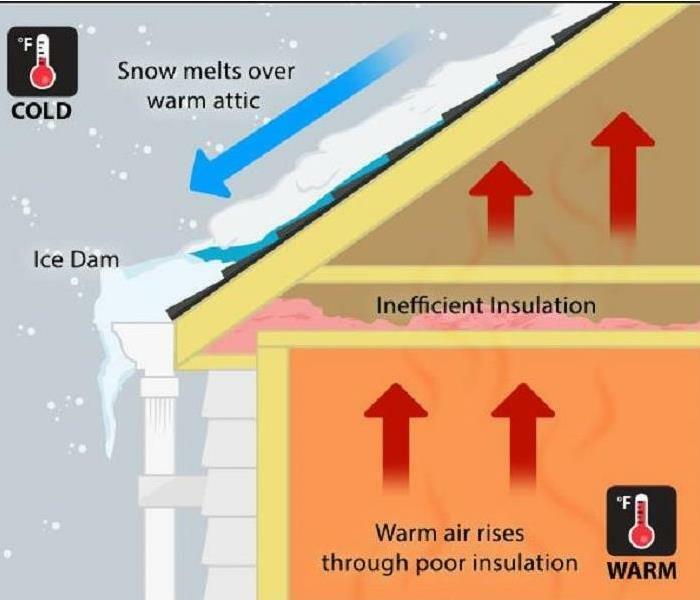 This illustration shows a good layman's explanation of what an ice dam is and how it forms and This Old House writes a great article on what to do if you have them. 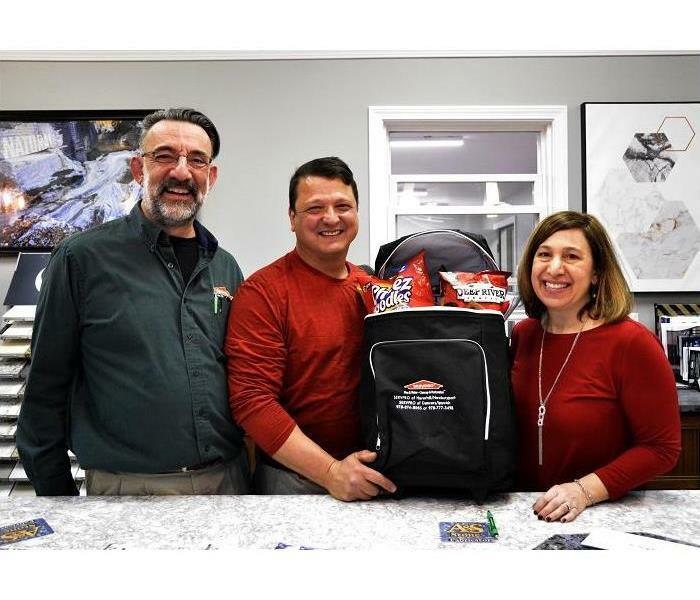 Richard Ciarletta, Sales & Marketing Rep for SERVPRO of Danvers/Ipswich and Andrea LaCroix of Churchill Properties poses with the winner of the Galleria Open House grand prize. We donated a rolling cooler full of goodies to the lucky winner! SERVPRO of Danvers/Ipswich office is in the Galleria Tile & Stone plaza, at 78 Turnpike Street, Unit G in Ipswich, MA. 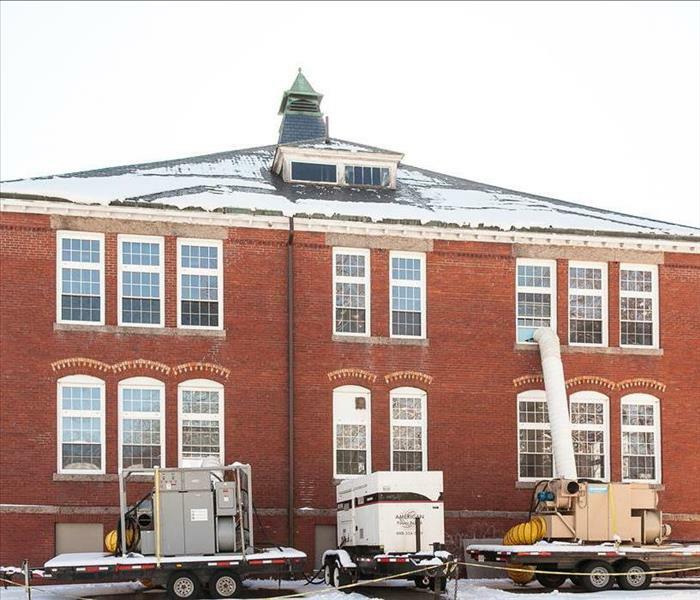 When a pipe burst, forcing 10,000+ gallons of water through an old, historical building, much of the artwork in the school was at risk of irreversible damage. 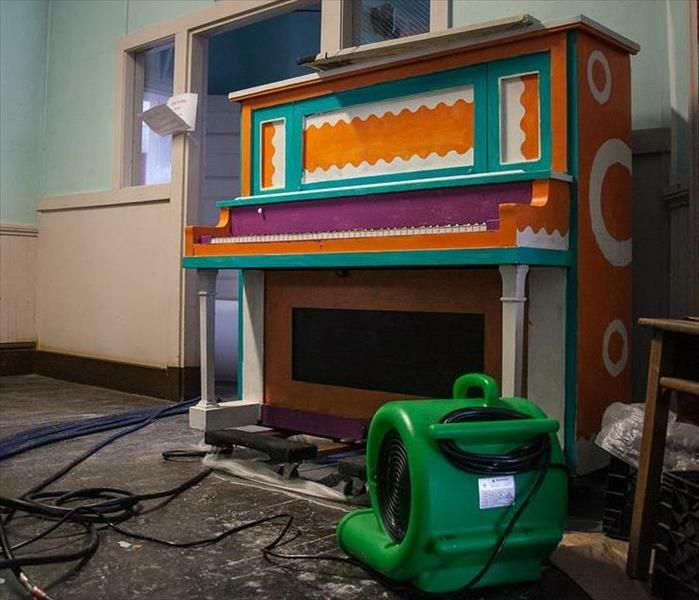 For example, this old piano, creatively repainted, would have been destroyed without a quick mitigation action plan. 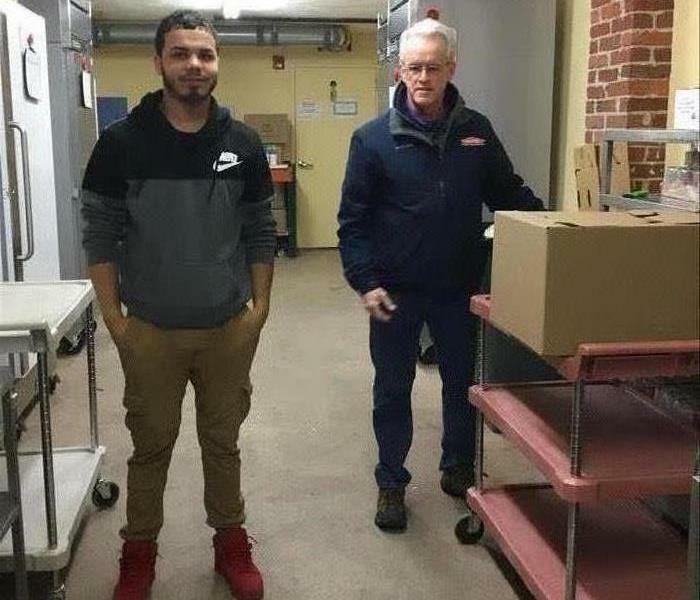 SERVPRO of Danvers/Ipswich immediately brought in dozens of fans to combat the moisture and two 1 million BTU Incandescent Heaters to heat the air. The school is currently undergoing the mitigation process. 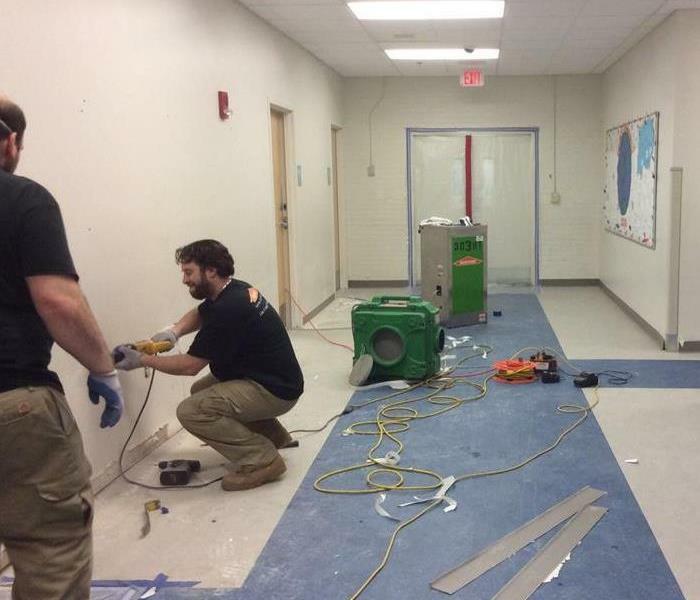 Some heavy duty equipment can be seen set up at Cogswell School in Haverhill, MA., after a burst pipe allowed 10,000 + gallons of water to rush through it's halls. SERVPRO of Danvers/Ipswich was called in to start the drying out process. Due to the historical nature of the building, a precise plan and delicate balance of "dry-in-place" procedure began. 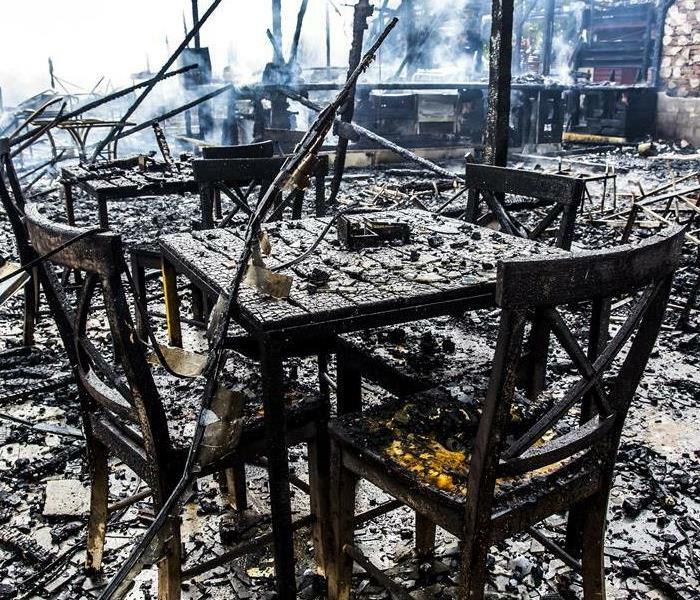 If you don't believe the warnings that combustible materials should not be left in direct sunlight, think again. When this homeowner took a break from staining his deck, he left the rags in the open container of stain, in the direct sun. When the toxic chemicals heated up, the rags ignited causing a fire on the deck and extensive smoke damage throughout the first and second floor. 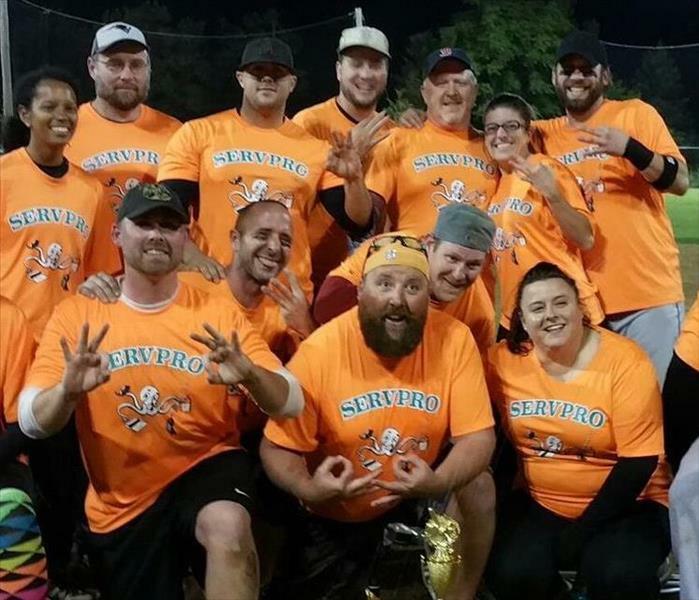 Congratulations to the SERVPRO Softball team for winning the 2017 Championship! Our own Justin Naffah had some pretty sweet moves! 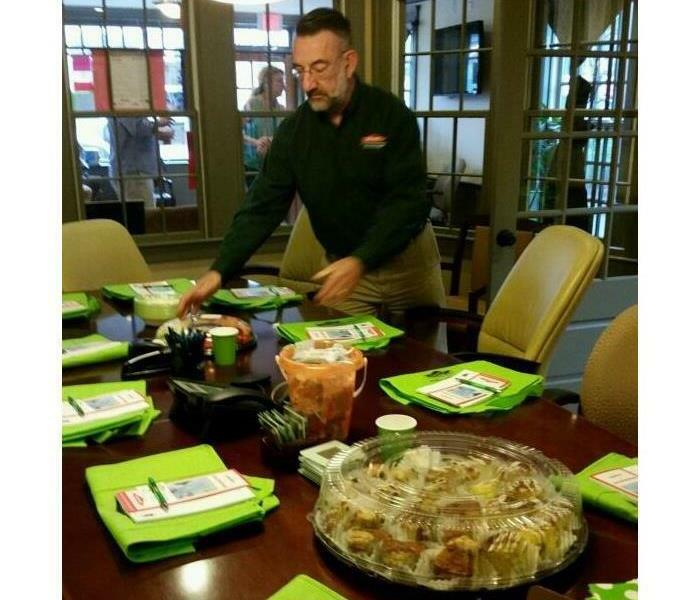 SERVPRO of Danvers/Ipswich's Marketing Representative Richard Ciarletta sets up for the Lunch & Learn at Windhill Realty in Ipswich, MA. The lunch and learn is a great way to meet with realtors and explain how SERVPRO can help with any fire, water, mold or general cleaning issues. Richard Ciarletta of SERVPRO (back left) served up dinner with The Ipswich Business Roundtable at The Dinner Bell in Ipswich, MA. The free weekly meal is a community event for people who want to get out and meet their neighbors. 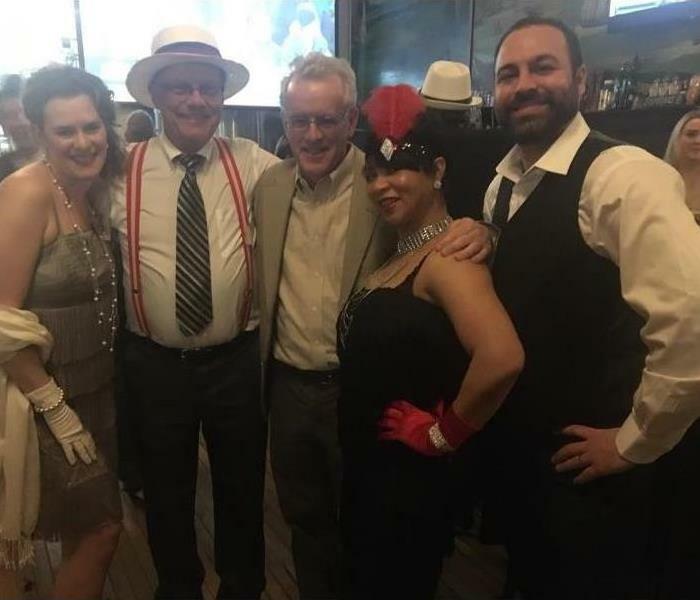 SERVPRO's Michelle Lavigne, Dave Hart, Nury Cardoza and Patrick Lavigne attended the event with E-Z Way Cleaners Peter Carbone (second from left). 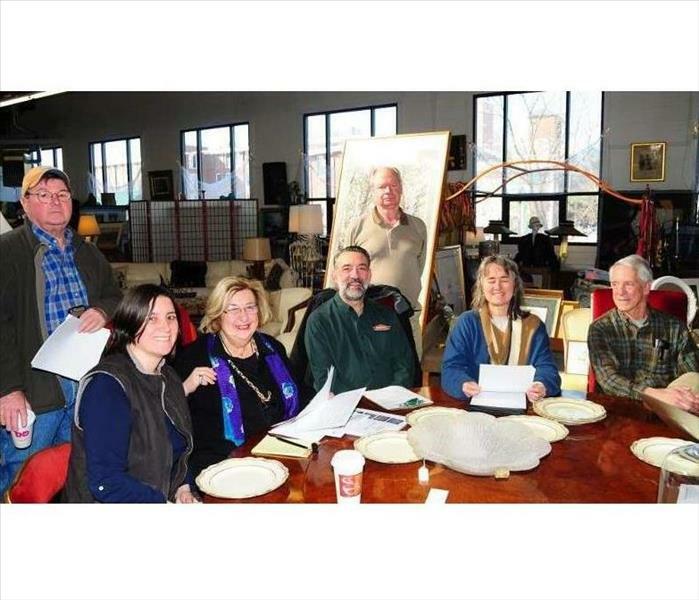 This event raised money to benefit the Buttonwoods Museum. 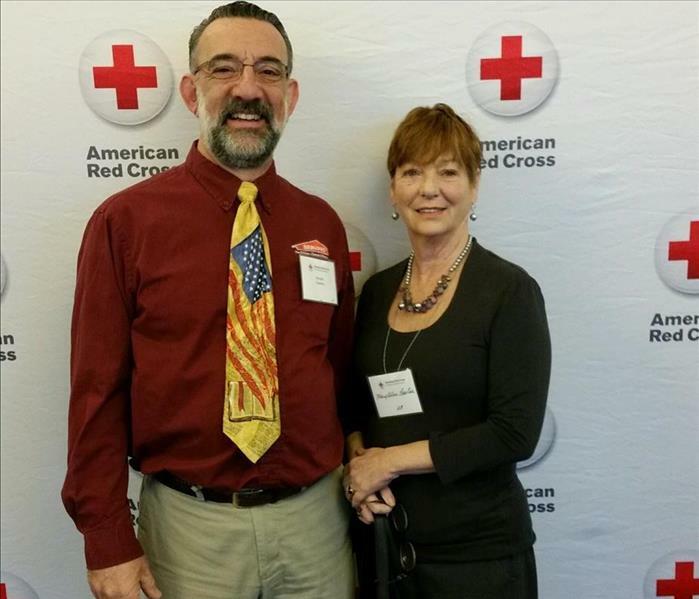 SERVPRO's Richard Ciarletta and Mary Ellen Lawlor attended the American Red Cross Community Heroes Breakfast on Thursday March 30, 2017. The American Red Cross Heroes Breakfast was established in an effort to raise awareness for local heroes who carry out the mission of the Red Cross by making a commitment to creating stronger communities and providing help when disaster strikes. 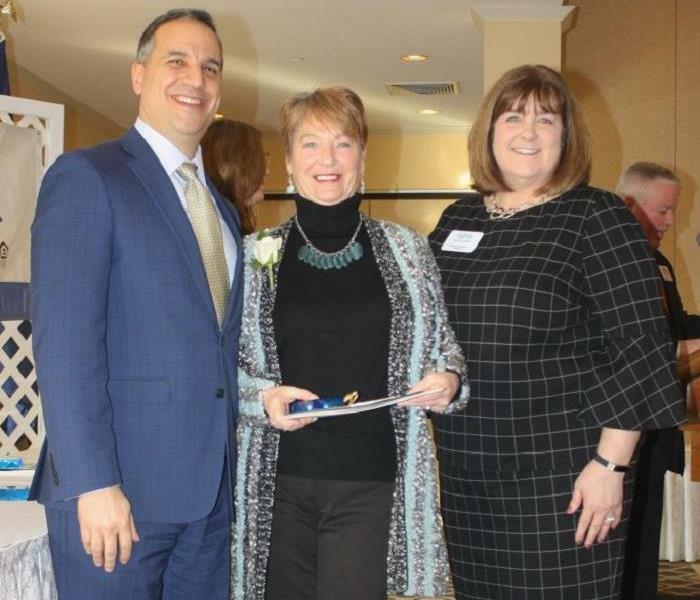 SERVPRO's Richard Ciarletta (Marketing Representative), Michelle Lavigne (Owner) and Mary Ellen Lawlor (Marketing Representative) attended The Exchange Club of Haverhill's 16th Annual St. Patrick's Day Breakfast. SERVPRO of Haverhill/Newburyport/Danvers/Ipswich sponsored the bagpipers who played at the event. Richard Ciarletta of SERVPRO Danvers/Ipswich and the North Shore Association of Realtors members gathered at Wellspring House in Gloucester for a backyard beautification project on 2 of the Wellspring properties. The clean-up phase is complete, and they will be looking for more volunteers for planting in the Spring. 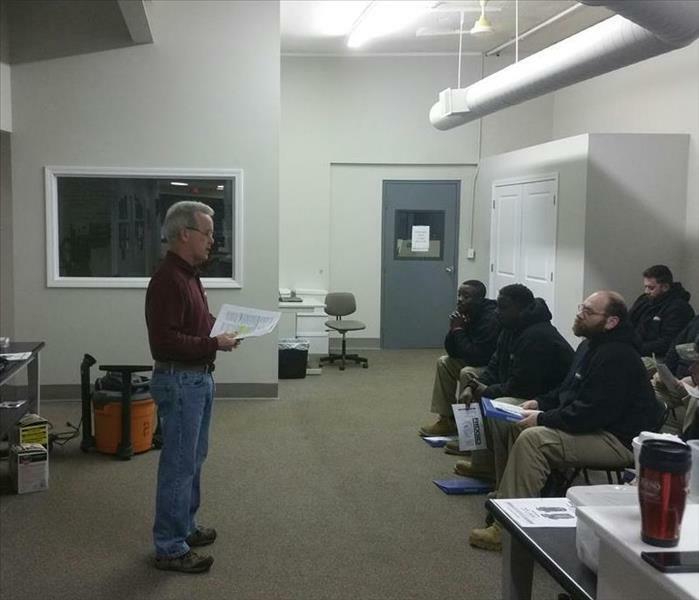 Our SERVPRO of Danvers/Ipswich crew is learning about equipment use and maintenance as part of our continued training program. It’s important to know not only how to use each piece of equipment correctly, but how to care for the equipment as well. SERVPRO of Danvers/Ipswich's Richard Ciarletta joins in on the Ipswich Business Roundtable discussion. Discussions range from big-picture topics to smaller projects, and the group has spent a good deal of time discussing ways to attract more visitors to Ipswich.